It started as a dorm project, but today DJI Technology is the world’s biggest civilian drone company. Based in the Weixin Software Science & Technology Park in Shenzhen, Guangdong province, DJI’s products are sold in more than 100 countries, and the company has commissioned world-renowned British architectural studio Foster and Partners – which also designed Apple Park in Cupertino, California – to design its new headquarters. Founded in 2006 in a cramped room in a university dorm, DJI grew to become a global enterprise with 14,000 employees and 17 offices internationally. It controls more than 70% of the global commercial and consumer drone market and generated sales of CNY18 billion in 2017, an 80% jump from the year before. Frank Wang, the man behind DJI’s growth, seldom speaks in public or gives media interviews. “Frank was passionate about helicopters when he was a child. He is very private and prefers the spotlight to be on the products,” said DJI Spokeswoman Natasha Gray. Born in 1980, Wang grew up in Hangzhou, the home base of China’s biggest e-commerce company Alibaba Group Holdings, and has been passionate about aircraft since childhood. “I felt very lucky reading a helicopter-themed cartoon when I was a child and have been obsessed with sky exploration ever since,” Wang said in rare public remarks given at Shenzhen University in 2015. Wang did not achieve top marks in school, which he partly blames on spending too much time reading about his passion for aircraft, and was subsequently rejected by his top choices of Massachusetts Institute of Technology (MIT) and Stanford University. Instead, he was accepted in 2003 by the Hong Kong University of Science and Technology (HUST) to study electronics engineering. In 2005, Wang built a helicopter flight-control system for his graduation thesis, but it failed the night before the class presentation. He built flight controllers in his dorm room until 2006, when he moved to Shenzhen with two classmates to establish DJI. It quickly beat several competitors, including 3D Robotics. Chris Anderson, CEO of 3D Robotics, said that the Chinese company has been “executing flawlessly” and “we just got beaten fair and square”. “I do not see any strong competitor for DJI so far,” said Cao Zhongxiong, Executive Director of new technology studies at Shenzhen-based think tank China Development Institute. “The company can dominate the drone industry for some years to come.” Wang partially attributes his success to simply being smarter than others and maintaining “a distance from the masses”. DJI’s flagship Phantom quadcopter drone – aimed at the consumer market – sells for under USD700, but the company is now increasingly looking to the enterprise market. 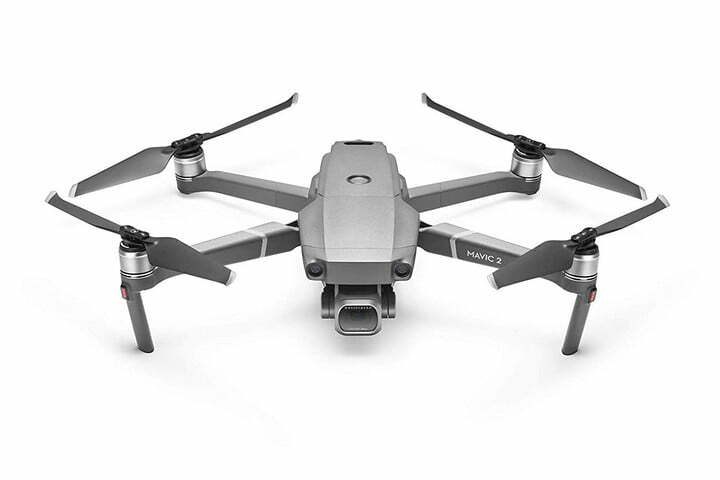 Its USD1,999 Mavic 2 is aimed at the industrial segment, which accounts for more than half of the global USD9 billion drone market. Bill Chen, DJI’s Enterprise Partnership Manager, said the use of drones in agriculture will be a particular focus for the company. Rather than staying a hardware manufacturer, DJI is becoming a platform operator by offering a development kit to third-party software developers to write applications for specific tasks. Fears that DJI mights steal customers’ data, the U.S. Army has banned the use of its drones, the South China Morning Post reports.